You know, they were doing so well. They were on a roll, they had been working for over a year straight, and the progress was fantastic. Maybe not as quick as a normal construction project, but by Ormsby House standards they were just zipping by. That’s why it’s so disheartening that all work on the Ormsby House seems to have stopped back in October, some of it looking like the workmen left to take a 15-minute break and never came back. That’s also why there haven’t been any updates on this site for a few months. When they’re not doing any work, there isn’t anything to write about. But a few of you were writing in, wondering what had happened, so I figured I could throw together a “State of the Ormsby” update, showing the way things are now, the way they have been for the last few months. Most of the exterior work is done. 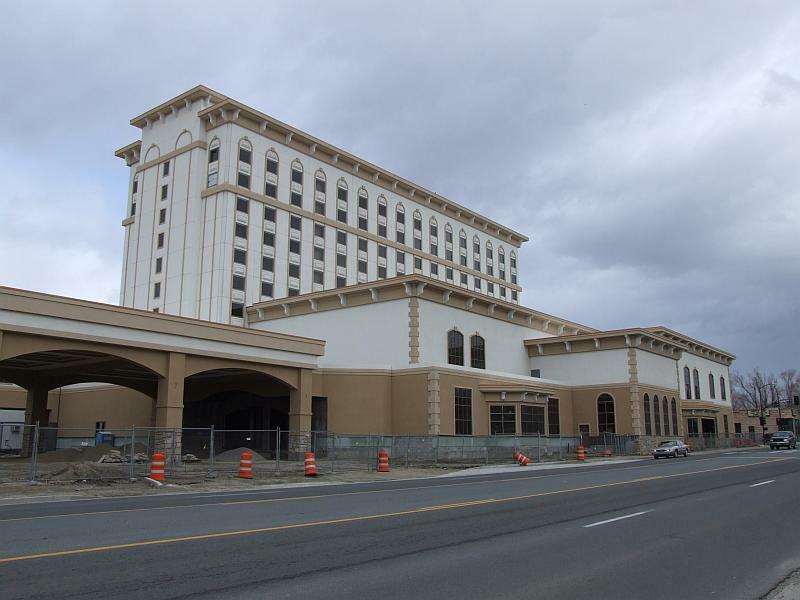 The whole hotel and casino has been redone, from the roof to the ground, with all new stucco, windows and paint. It really does look nice, much nicer than it did even fifteen years ago when it was open and running strong. 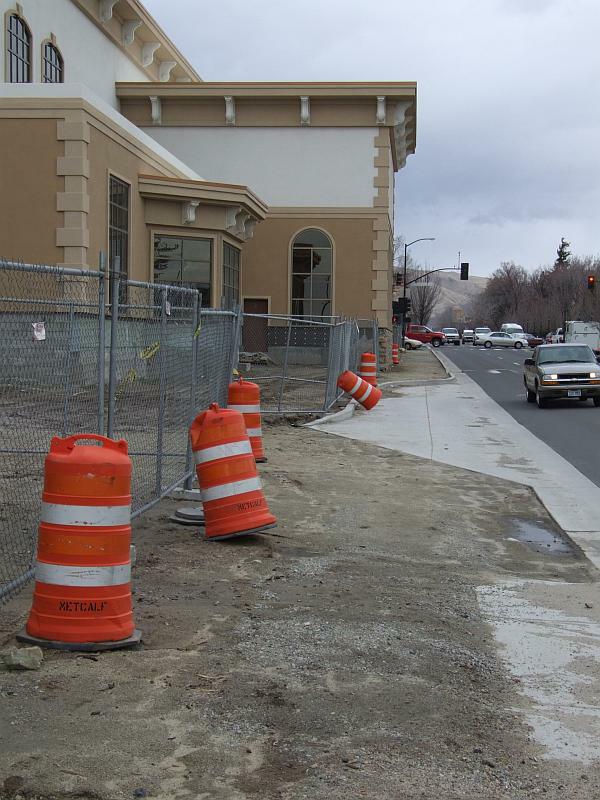 They’ve done a little bit of curb and gutter work here along Carson Street, forming the outline of a right-turn lane that you’ll use to get into the portecochere for valet parking. But even though they’ve moved the chain link fence back a few feet to let people walk here, they still haven’t paved the sidewalk yet. The grand bay-window north entrance along Carson Street. Most of the glass has been installed here, but no doors yet. It’s still open to the elements. And the strip of FakeRock™ along the bottom has been finished here, which is more than I can say for the majority of the structure. Here’s the bay window at the south side, also along Carson Street. This one only has a small exit door, not a grand entrance. And the FakeRock™ hasn’t been installed yet. The portecochere. 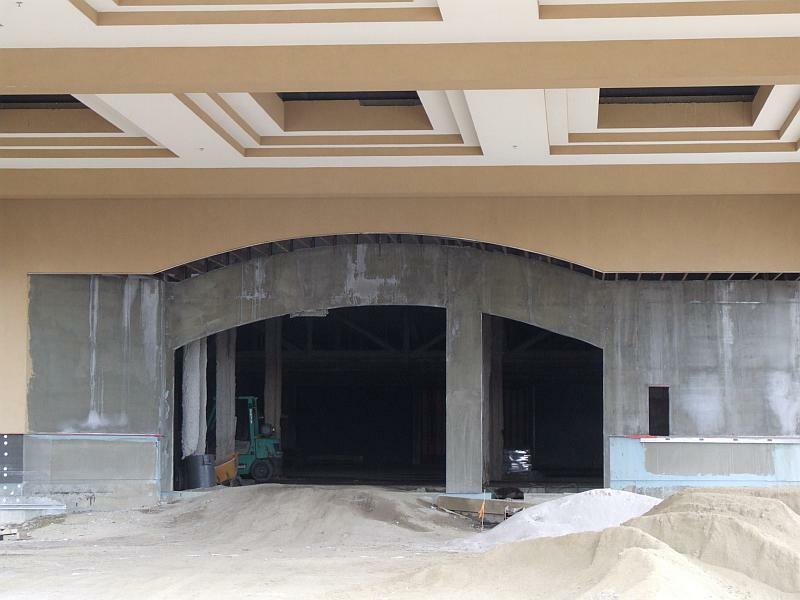 This will be the main entrance to the casino, and presumably the hotel registration desk will be right inside here. 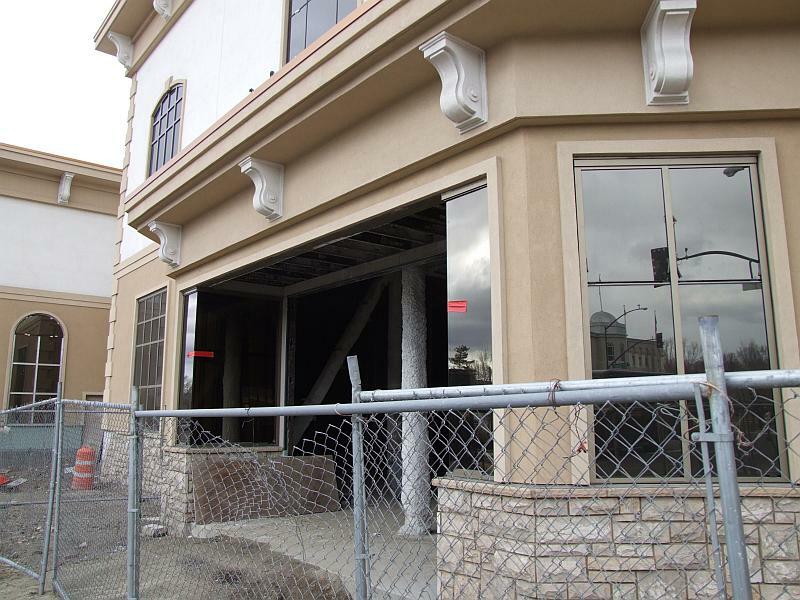 This is the view from Carson Street, where you’ll drive up for valet parking. 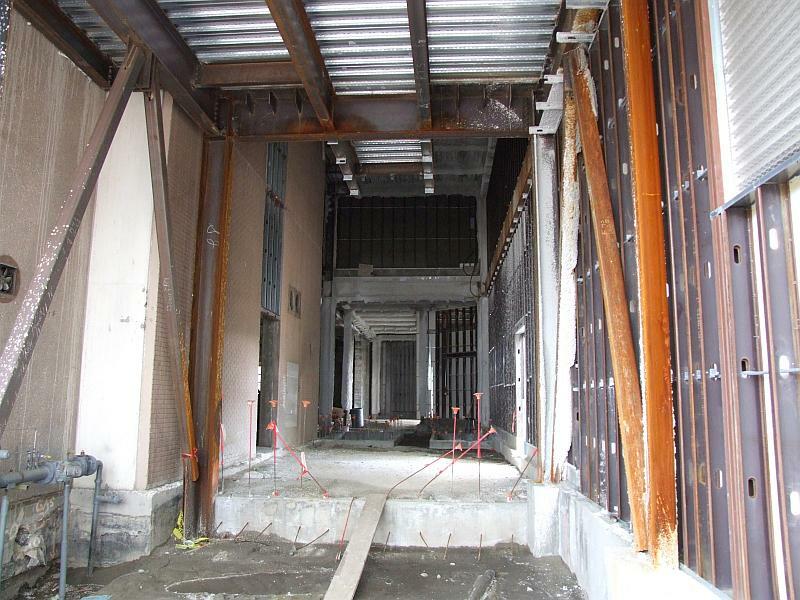 Here’s a straight-on view of the main entrance from Seventh Street. So much different from the little tiny door that used to stand at this spot. This part of the building got some of the most drastic work done; the original wall was demolished, and the building was extended about twenty feet to the south. 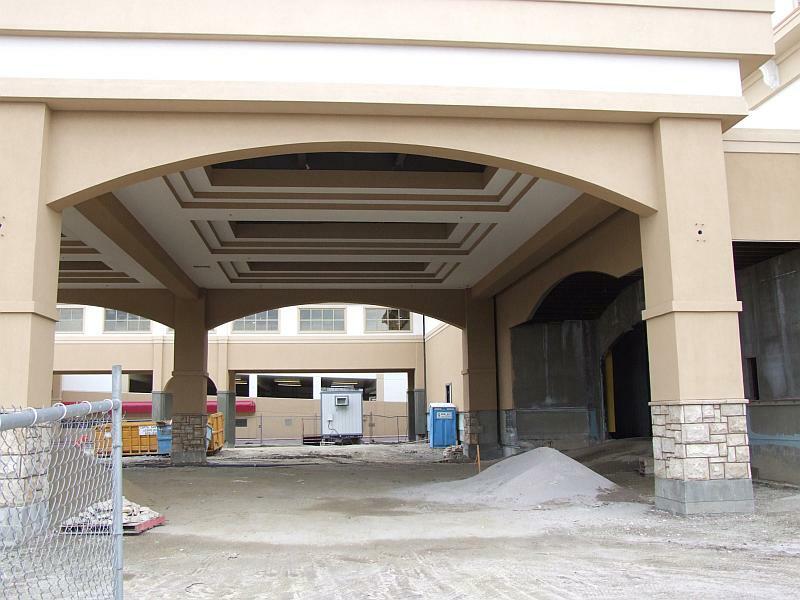 Then this giant portecochere was built over it all. The arched doorway with its offset pillar hasn’t gotten the final coat of stucco and paint yet; just one of the many places where they almost finished something, and then left it for months. Here’s one of the portecochere’s support columns. 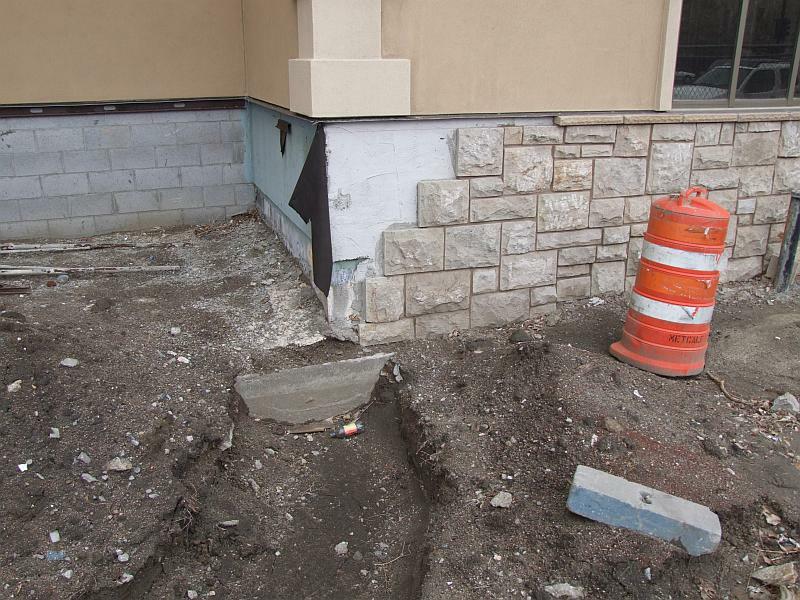 They did a good job here installing FakeRock™, but then once they were done they just left all the extra materials sitting on pallets. It’s been this way for months. 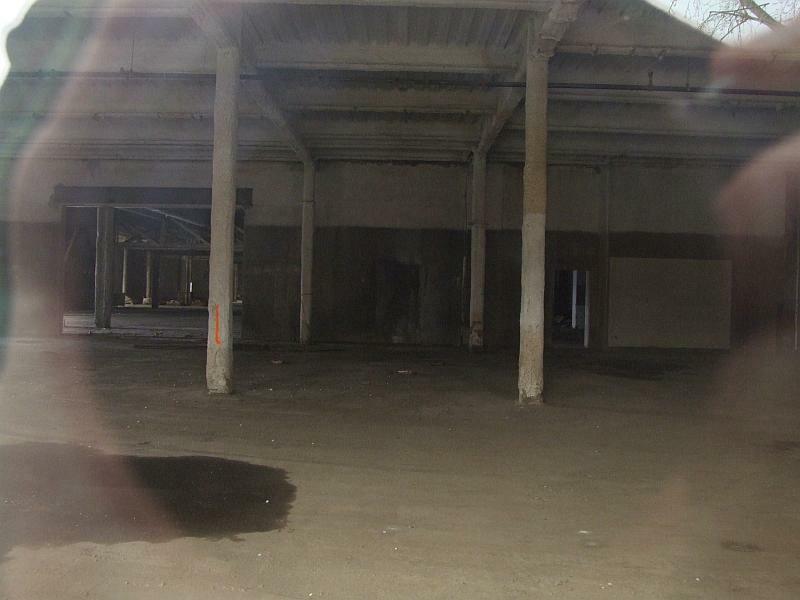 And here, on the main building along Fifth Street, is another place they abandoned work. They got so close, so close, only like five feet away from the corner of the building, and stopped working. Just tossed the materials on the ground and walked away. The shims are still in place, even. 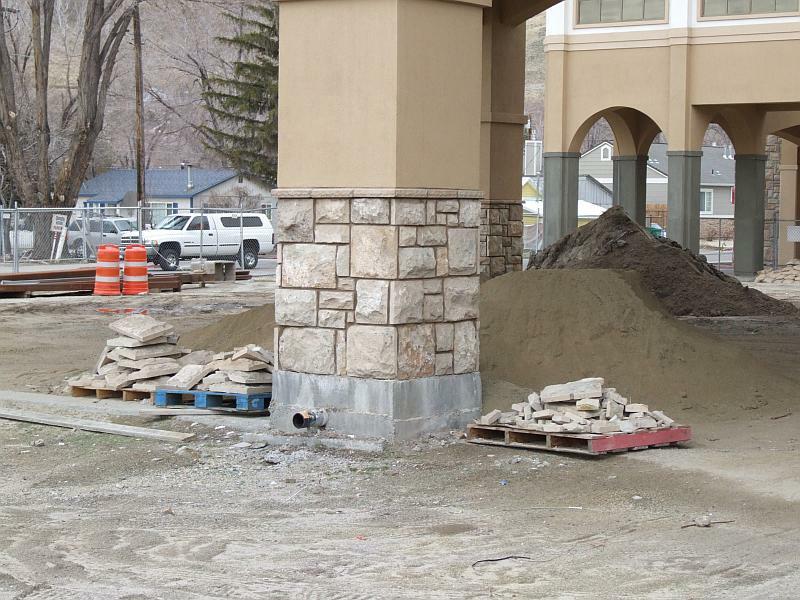 At least someone came by and sandbagged the structure in January when Carson City had the New Year’s Flood. 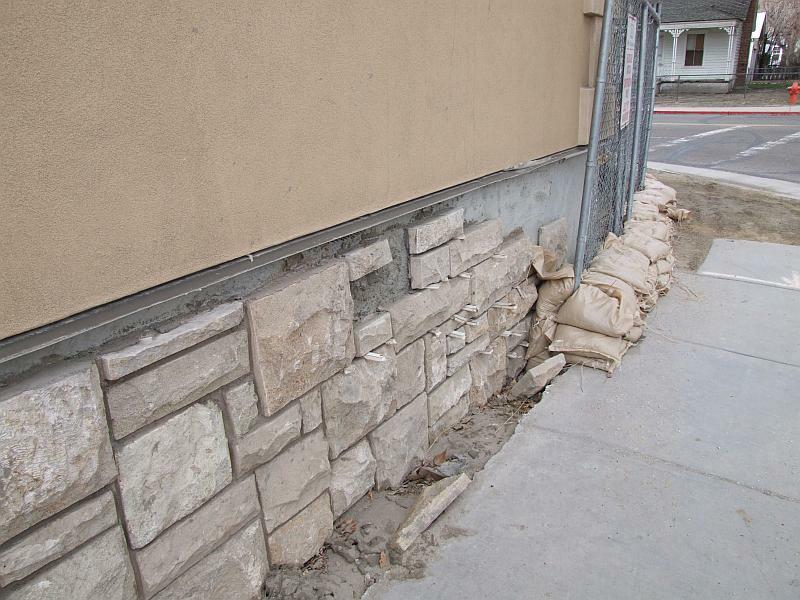 Many businesses and homes on the west side had to be sandbagged to keep out the rivers of mud that came down from the hills. But the sandbags are still there, untouched, two months later. And counting. Here in the front is another spot that FakeRock™ work stopped. What they got done does look nice, but why didn’t they finish? In the back of the casino, they at least were able to get Curry Street open before work stopped. And still the mysterious Big Hole sits there, on the left of the photo. 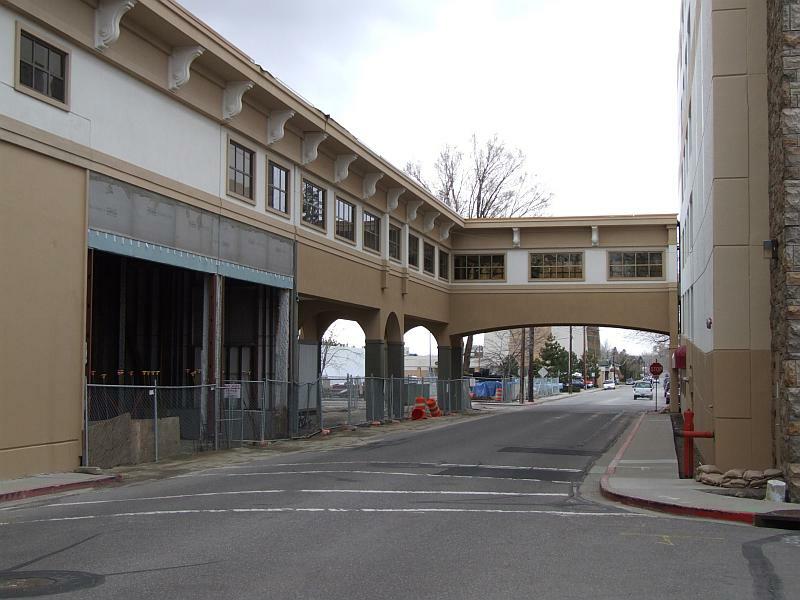 A gaping entrance to the structure, not fit for vehicle traffic. One of the biggest question marks about the whole project. Here’s the view inside the Big Hole. 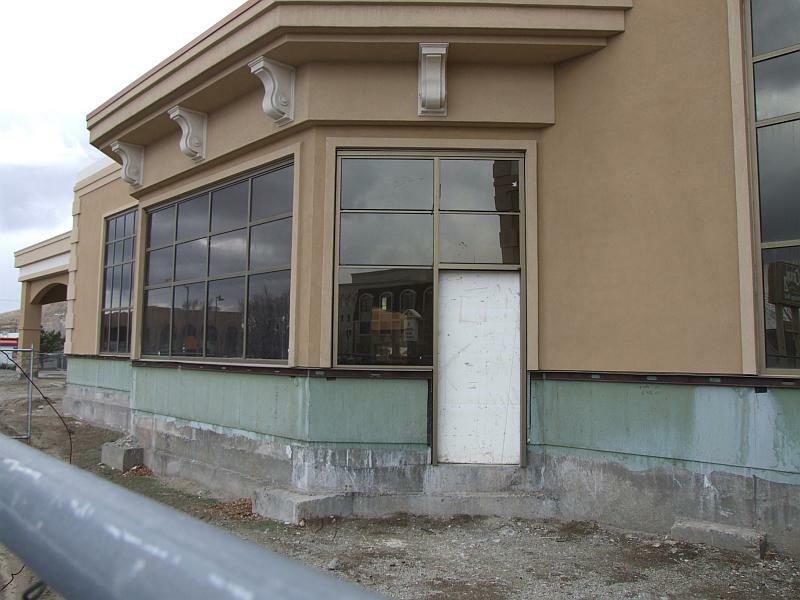 Why they’re keeping this open is beyond me, when they wallboarded, stuccoed and painted the rest of the exterior. They don’t need this open to bring materials in, because the main entrance is plenty wide enough to drive a truck through. On the left you can see the original outside wall of the hotel tower. On the right is the new wall they built, and in the middle is nothing but footprints and bent rebar. Such strange things. 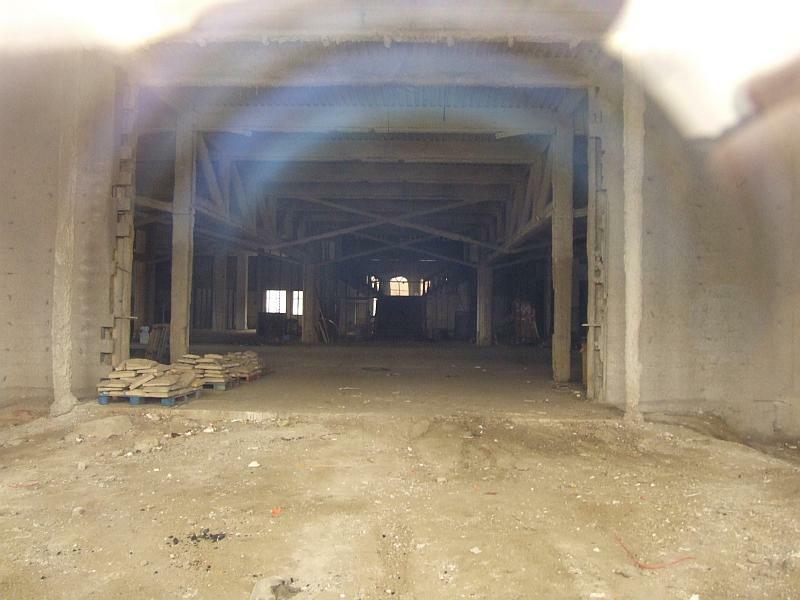 Here’s another interior shot, looking in through what used to be the front door along Carson Street. Now there’s a huge room here with giant arched windows. This view looks in through one of those windows, all the way through to the Grand Staircase. Which, gladly, still seems to be intact, mirrored wall and all. And another shot looking through a window, this one from Fifth Street, looking in at the space that used to be the V&T Coffee Shop. So far they are doing no work on the interior, not even putting up walls or pouring concrete for the floor. 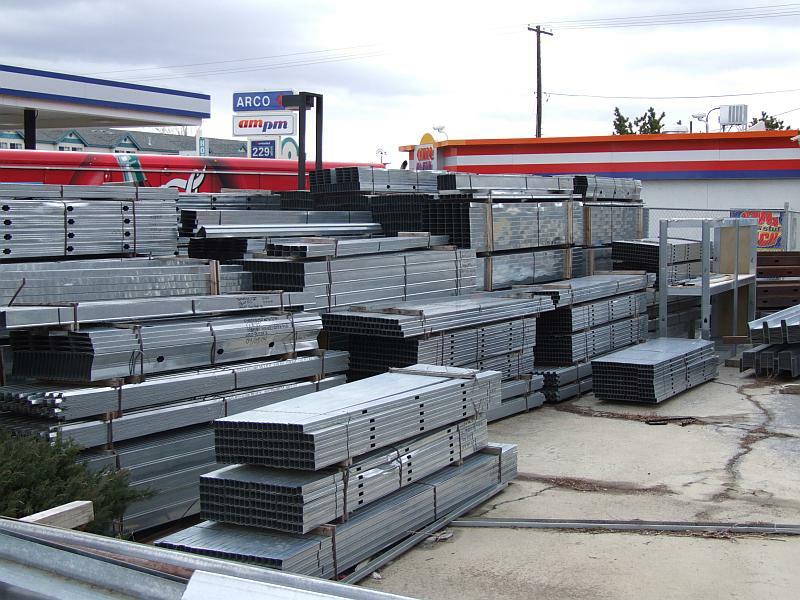 A shipment of steel studs sits in the old parking lot, across the street to the south. Probably these studs are for the ground and second floors, since we found out in November that the hotel is mostly studded out. But this pile has been waiting here for half a year, at least, and doesn’t seem to be going anywhere soon. Even the new materials have been abandoned and forgotten. And so that’s it. A walk around the Ormsby House, with everything frozen in time like Hiroshima when the bomb hit. I remain optimistic that all work hasn’t stopped. I still see people and trucks moving around the site. I tell myself that they’re working on the hotel floors now, doing the interior from the top down the same way they did the exterior. But when I see half-finished jobs, and materials laying around that look like they were just abandoned, it doesn’t fill me with hope. 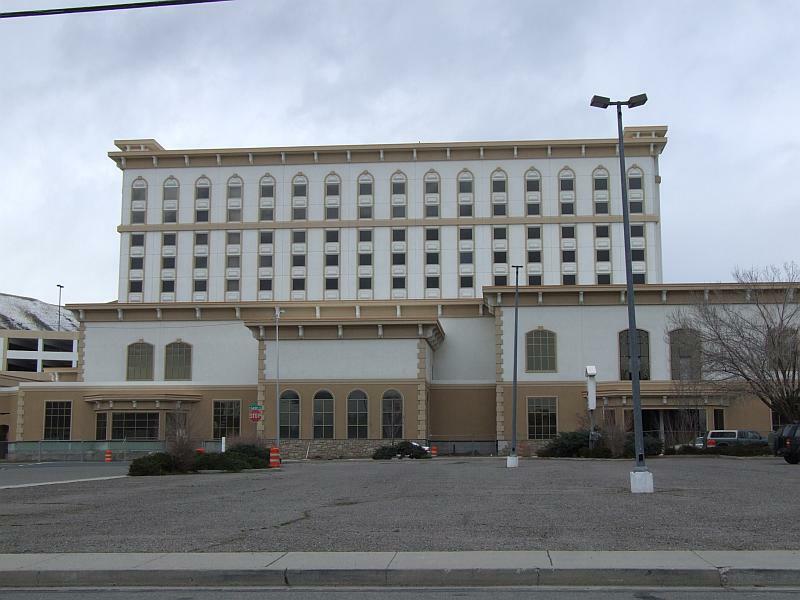 In the time since the Ormsby House closed, the Casino Fandango has taken an old vacant lumber warehouse and converted the entire thing into a modern casino, a neon palace with four restaurants and thousands of square feet of gaming space. They’ve built a parking garage and have plans for a movie theater and hotel tower. And it’s starting to look like all of this will be finished before the Ormsby House is, even though ground hasn’t yet broken on most of it. In the last five years three huge shopping centers have been built in Douglas County, and several new hotels have gone up at the north end of town, adding hundreds of rooms. The construction industry is booming, yet here at the Ormsby House a brick wall sits, half-finished, with shims sticking out of it, for three months. This is starting to get a little sad.